I do this too, but you must take care not to stress the connectors. Some batteries lack robustness around the cable ports and are easily damaged, breaking the internal connection. I think the OP may find the geometry of the Salsa Fargo more appropriate. Top tube length of the large Fargo is 580mm vs 600mm on the large AWOL. If you use the Campagnolo (small-small) method of chain measurement, the longest possible chain length is assured. Poor choice. Search the forums and you'll discover the Edge Touring is lousy at navigation. 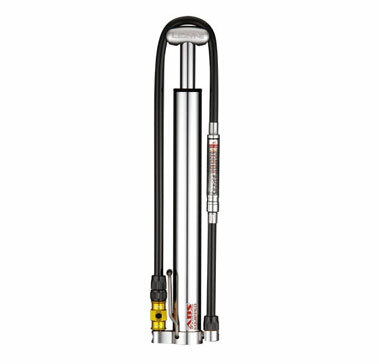 You need a Lezyne Micro Floor Drive HVG Mini Pump. Easily mounted on the frame and much better quality than the Topeak product. Topic: Can you get attachable side bars for road drop bars? Re: Can you get attachable side bars for road drop bars? Maybe, maybe not...but you can get detachable drops for flat bars. Look for Origin8 drop ends. Topic: Circular routes & a suitable satnav. Circular routes & a suitable satnav. Get s Mio Cyclo. They have s Surprise Me function that will propose three loop route alternatives based on either desired distance or time, rate each loop for difficulty. Topic: Drop bars on an mtb? Drop bars on an mtb? Perhaps you should be looking at bikes like the Salsa Fargo or Specialized Awol, or if you have deep pockets, the CoMotion Divide. Look on the Tubus website - you'll find several mounting options for fitting racks to bikes with no fixing points.